Quick Answer. 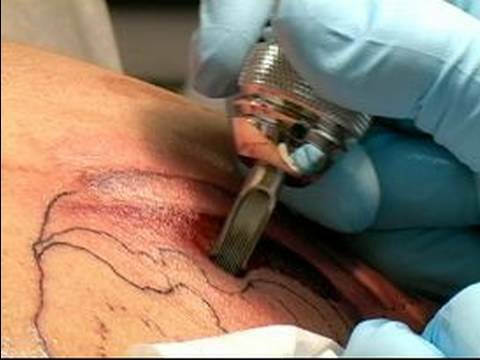 The first step in properly shading a tattoo is to choose an ideal needle size as well as adjusting it inside the tattoo gun. The shading begins and is performed by applying pressure to the skin and working in a circular motion. remove any excess ink after this step and examine the tattoo to determine if any further work needs to be done. The Basic Elements to Proper Tattoo Shading. The 3-D feel really makes them pop. When a tattoo artist isn’t particularly skilled in this area, the result is designs that are flat and don’t have much appeal. This is why artists spend so much time and energy developing their abilities in this area.